There is no doubt that the intentions of the film makers were sincere and good. But good intentions sometimes is not enough. 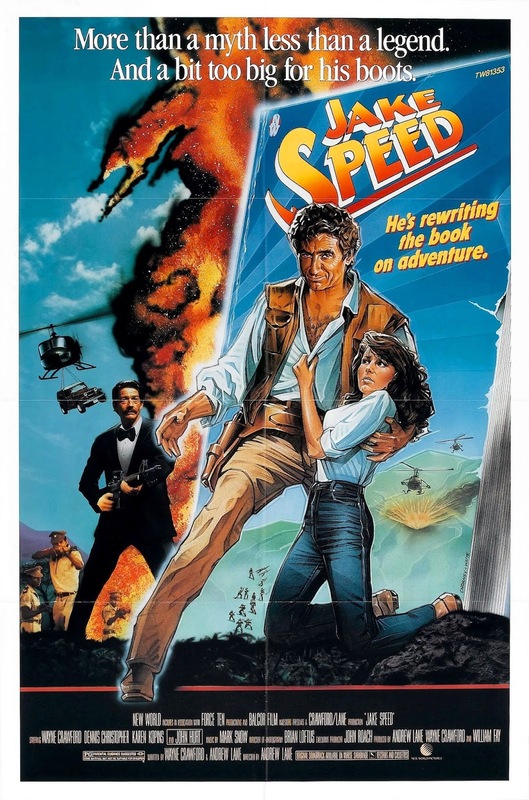 Jake Speed who obviously is a parody off Indiana Jones simply does not impress. Even if you could ignore the cheesiness and the off beat humour it fails to capture your attention. I am always willing to give Eighties movies more credit for the creative effort but here I can't do that. Everything from start to finish is a snooze fest. The real fun action only starts real late when most of you already will have lost interest. Also the characters are as bland as possible. In films like these it is up to them to bring that something extra. That never happens here. Upon stumbling on this movie you might come across some raving reviews in favour of Jake Speed. And that simply puzzles me. This is not one of those it is so bad it becomes good kind. To give you a comparison King Solomon's Mines with Richard Chamberlain was cheesy as hell but an incredible fun watch. The same goes for Firewalker with Chuck Norris. At least those brought something exciting. Jake Speed in my opinion is lacking in many fields. Skip this one!